The Highlands is the most romantic and authentic area of Scotland. This natural paradise has been anchored in time just like this tour will be anchored in your memory. Solitary landscapes like the inhospitable Glencoe, daunting mountains like Ben Nevis and mysterious lochs such as loch Ness are only some of the highlights. We head to the Highlands, passing by the historic city of Stirling and crossing the Trossachs national park. We make stops along the way to relax and take photos before arriving in Glencoe. Here you can walk along a dramatic glacial glen, remembering the battles of its past. After lunch in the outdoor capital of Scotland, Fort William, we continue our trip at the foot of Ben Nevis, the highest of all the UK, and reach the famous Loch Ness. Drive all the way alone this enigmatic loch, visiting one of the most famous castles in Scotland, Urquhart Castle, on the banks of Loch Ness. It’s now time to head over to the Capital of the Highlands, Inverness where you spend the rest of the day. At night, why not go see some fun and traditional Scottish Ceilidh dancing? There’s no better way to spend a memorable evening. 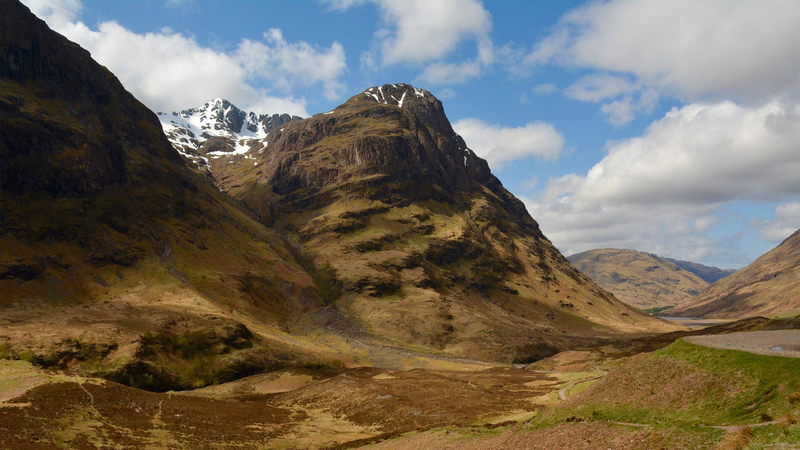 Glencoe has some of the most spectacular scenery in Scotland. 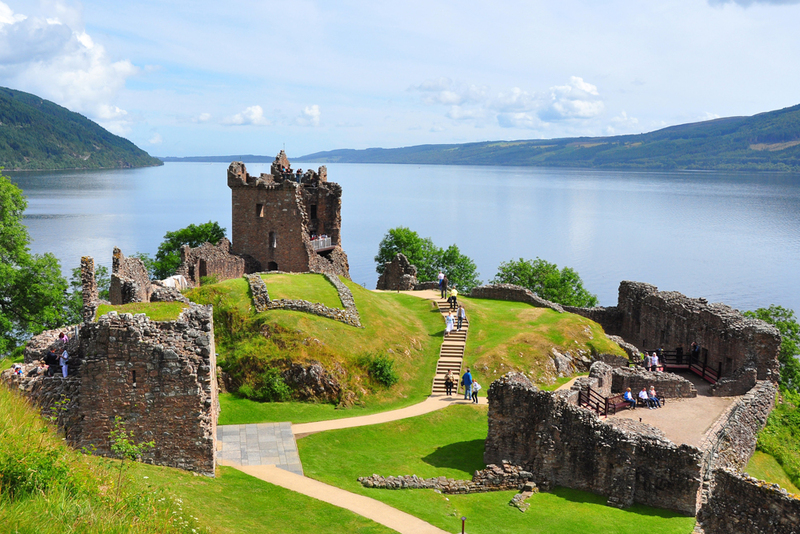 Urquhart Castle is situated on the banks of Loch Ness, between Fort William and Inverness. Start off the second day by visiting the Highland Folk museum, an interactive outdoor museum dedicated to Scottish Highlands culture. From here we traverse beautiful landscapes in the Cairngorms national park until arriving at Blair castle. 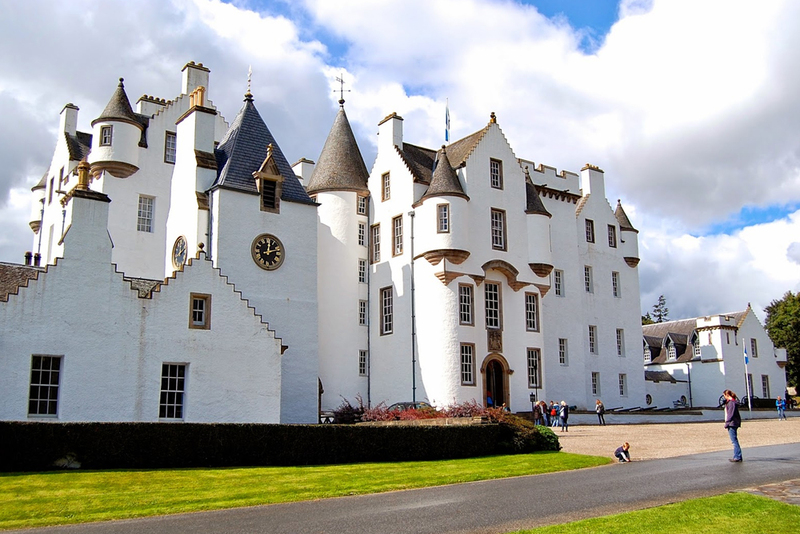 You can visit this castle, one of the most original in the Highlands. After, head over to the traditional village of Pitlochry, where you can eat and visit a whisky distillery. No trip to Scotland is complete without trying the famous “water of life”, a fundamental part of Scotland’s traditions and culture. On the way back to Edinburgh there is time for a last stop in South Queensferry to admire the bridges over the River Forth. Without a doubt, the best way to experience the different aspects of Scottish culture and the beauty of the Highlands in its pure state is with this trip to the heart of Scotland. These whitewashed walls belong to Clan Murray’s Duke of Atholl. 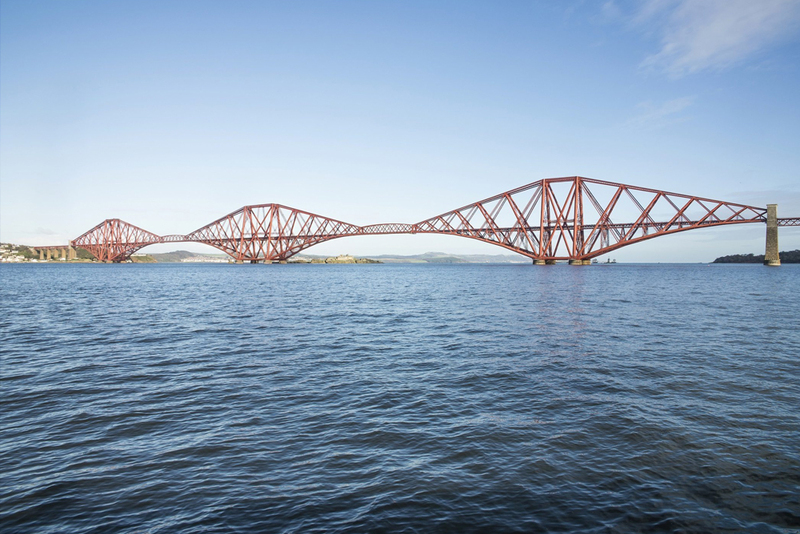 The Forth rail bridge crossing over the Firth of Forth.